Pamela Y. Wiggins is a former writer for The Spruce who contributed 438 articles on antique collecting. Pamela's latest book, Collecting With Kids: How to Inspire, Intrigue and Guide the Young Collector, is based on her long-running Heritage Magazine for The Intelligent Collector column. 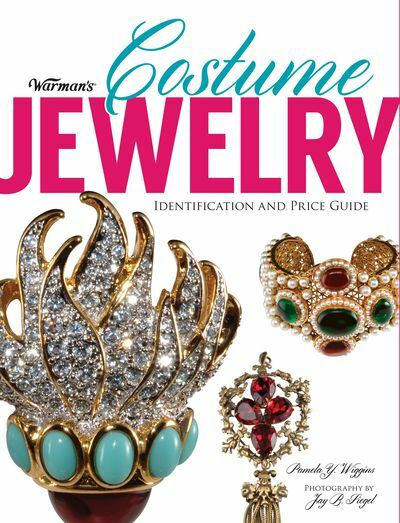 She is also the author of Warman's Costume Jewelry (Krause). Her past work as an author includes penning Buying and Selling Antiques & Collectibles on eBay (Thomson Course Technology). Her articles on varied antiques and collectibles topics have also appeared in a number of national periodicals including Antique Trader, Treasures, and Numismatist, along with many regional publications like Where GuestBook New York. She is the co-founder of Costume Jewelry Collectors Int’l (CJCI), an organization providing online educational resources for collectible costume jewelry enthusiasts. Pamela has been called upon as an expert consultant on the business of buying and selling antiques and has been interviewed as an antique expert on numerous television and radio programs. Pamela completed the International Society of Appraisers core courses in appraisal studies. She earned her bachelor's degree in journalism with magazine concentration from the University of Texas at Austin.